Dr. Iftikhar is a board certified general and interventional cardiologist who specializes in all aspects of cardiovascular disease. He is one of a few cardiologists in Houston who hold a certification in interventional cardiology through the American Board of Internal Medicine. Dr. Iftikhar received his medical degree from Dow Medical College in 1989 and did his internal medicine training at Baylor College of Medicine in Houston. After finishing, he spent one year doing research in vascular biology at Baylor. During that time he also held a teaching position with VA Medical Center in Houston. His cardiology training was completed through Loyola University Medical Center and Hines VA Hospital in Chicago. He spent his last two years at Loyola receiving specialized training in coronary and peripheral interventions and was also the chief cardiology fellow during that time. He has written and presented papers at many national conferences, including the Society of Nuclear Medicine and the Chicago Cardiology meeting. Dr. Iftikhar has been named among the top cardiologists in Houston numerous times by “H” Texas magazine and a “Super Doc” by Texas Monthly magazine on multiple occasions. Dr. Iftikhar currently holds active privileges at Methodist West Houston, Advanced Cardiovascular Center at Methodist West Houston, Christus St. Catherine Hospital, and Memorial Hermann Katy Medical Center. He was the chairman of cardiology at Memorial Hermann Continuing Care- Gessner from 2004-2006. He served as chairman of cardiology at West Houston Medical Center from 2007-2009 and as chairman of cardiology at Christus St. Catherine from 2008-2011 and will serve as chairman of cardiology at Methodist West Houston for the 2013-2015 term. Dr. Iftikhar was also involved with the Houston Community College CVT program, as their medical advisor for a time. 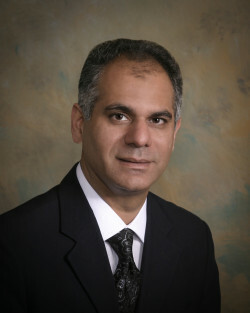 Dr. Iftikhar is the premiere board certified cardiologist for Houston, Katy, and surrounding areas. Call our friendly staff today to schedule an appointment.